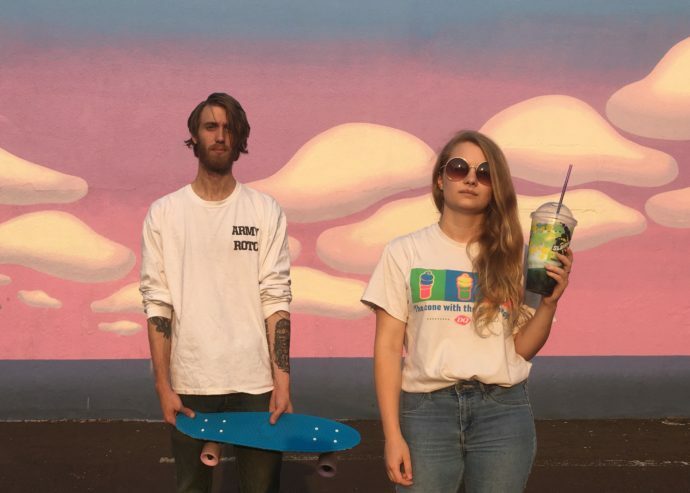 Indie pop duo, Cloudlines are preparing to release their first single of 2019 with “Like This.” Recorded their apartment in Portland, OR, the song is no lo-fi affair. With all the effects you would expect from a fancy studio recording, “Like This” mixes bouncy synths, glitch pop beats, and earnest indie rock songwriting. Lead singer/songwriter, Emily Watson says the song comes from “feeling a bit down about some personal conflicts we were facing and then coming to the realization that the only solution is going to come from our direct actions.” The song has that hint of melancholy but “Like This” has the pop sensibility to not let the listener stay down for too long.